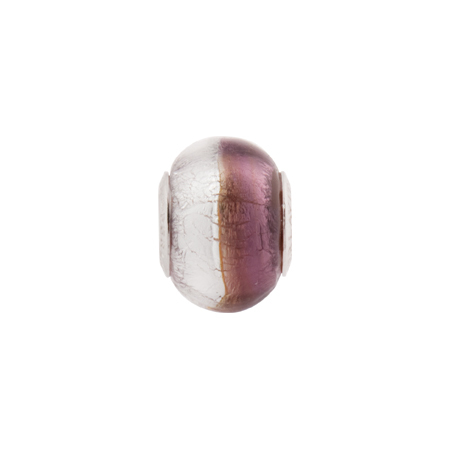 Amethyst/Crystal Silver Foil Bicolor Rondell approximately 15x10mm with a Rhodium plated Sterling Silver Insert PERLAVITA. Fits popular large hole bracelets. Authentic Murano Glass and Italian Silver.